10:00 am - 8:00 pm, daily. Book 4 hours in advance. Erb Spa at Warehouse 30’s treatment philosophy mirrors that of the district it is located in – carry on with the best ways of the past while embracing future advancements. Erb Spa at Warehouse 30 is a wellness sanctuary in the Creative District. 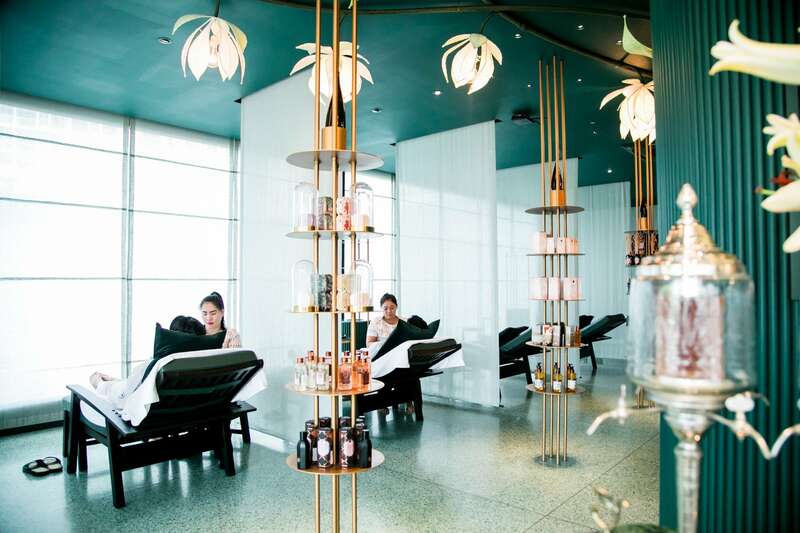 One of the many new establishments contributing to the revival of Charoenkrung in historic Bang Rak, Erb Spa focuses on rejuvenating visitors to the area with royal treatment – literally and figuratively. The moment you enter Erb Spa, you are greeted with excellent service and atmosphere that calm you through all your senses. 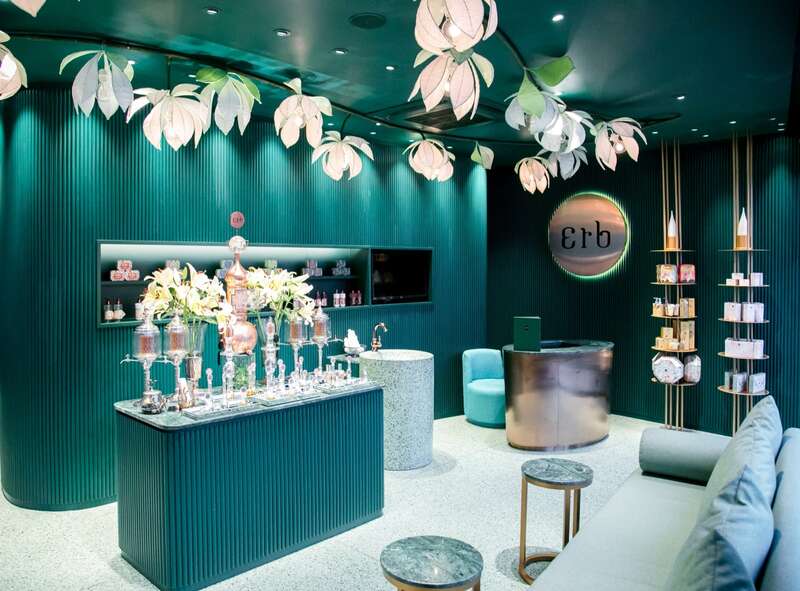 Erb’s iconic “Perfume Bar” invites you to try aromatic selections that engages your olfaction. A signature apple tea aids in replenishing your energy while refreshing your palate. Erb’s decoration with green shades shine contrasted with traditional handcrafted decorative items brings serenity to your vision. 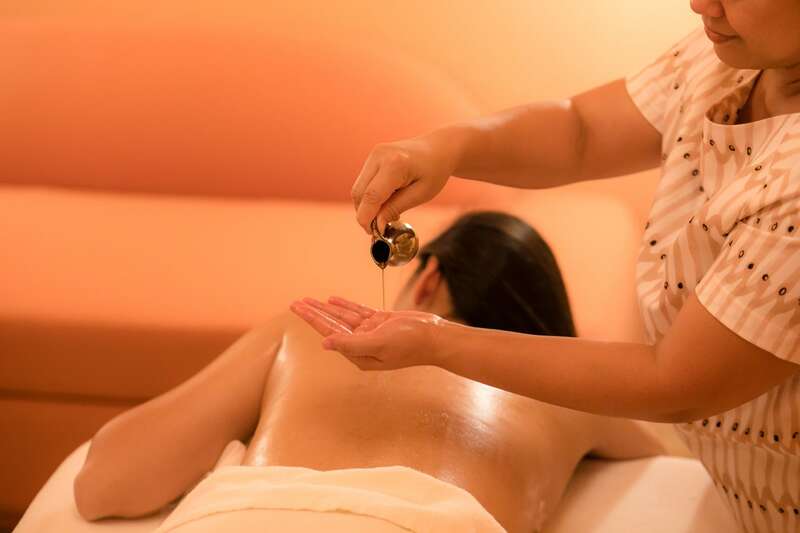 Erb Spa’s treatments are created from mixing age-old wisdom with creative advancements. The establishment’s ethos is that lasting natural beauty can be achieved through forgotten Thai court beauty rituals and time tested natural ingredients while enhancing that with improved techniques and discoveries in medicinal sciences. Its root in old treatment traditions can clearly be discerned from its treatment menu – Royal Thai Massage, Erb Spice & Shine Body Scrub, Thai Rice Ceremony, and more reflect the belief in using older Thai herbs and techniques. However, the Erb Seven Pollen Golden Therapy is the spa’s hallmark. Using Erb’s award winning Seven Pollen line which consists of pollens from the regional Thai flowers: Lotus, Sarape, Bakula, Jasmine, Bunnag, Ylang yang and Champaka, the therapy embraces pure gold leaf masking technique to prevent premature aging and improve elasticity of the skin.